Crime Wire: Talking to the MOB! You can hear Crime Wire Investigates Tuesdays at 9 p.m. Eastern. It’s a Mob takeover on Crime Wire! Join host, Dennis Griffin, and a couple of his friends and former mobsters for an hour of discussion about their life of crime within the Mob. caught him first and he eventually became a cooperating government witness. 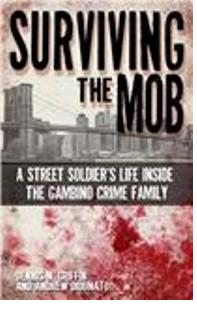 DiDonato is the subject of the popular book, Surviving the Mob by Crime Wire host, Dennis Griffin. the Outfit authorized a contract on Frank. Facing life behind bars or death at the hands of Outfit killers, Frank flipped and became a government witness. In the 1995 hit movie Casino, actor Joe Pesci played a character based on Spilotro. Frank served as a technical consultant to the film and played a hit man in several murder scenes. His “Frankie” character was played by Frank Vincent. 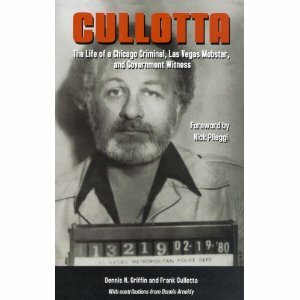 The complete story of Frank Cullotta can be found in the book by Dennis Griffin, Cullotta.